Being a part of a trade show means that you do not take yopur business for granted but that you want to improve it and extend the area in which you operate. Taking part in a business show means that you have enough courage and determination to make the best out of the story that you have begun. If you are an entrepreneurial beginner, such a decision becomes even bolder and braver, since many exhibitors at such shows are experienced professionals. It also means that you are looking up to the most successful businesspeople in your field. So, that is actually one of the most important strategies when it comes to participation in trade shows. 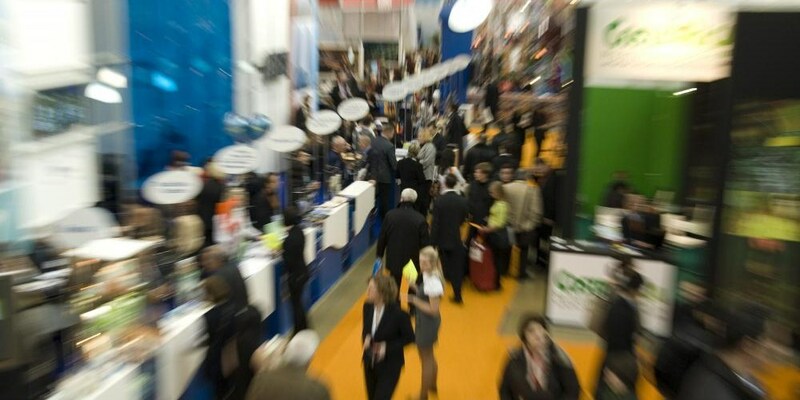 In order to end trade show participation with a positive result, you need to examine the nature of such events first. For the beginning, you should visit a couple of shows just out of pure curiosity. No matter if you have already launched your own firm or you are still working for someone else while your ideas are still being created, visiting trade shows from time to time is a great strategy for the future of your presence in business waters. When looking around during trade fair visits, try to observe and notice as many details as possible. It does not mean that you are going to steal ideas, but just reshape some existing ones into complete new concepts. Once you decide to go and present your business at a trade show, the period before the show needs to be well-planned and filled with numerous analyses and briefings inside your business to make the best of your future presence. Also, you need to decide why you are going to pay for your own fair stand and the belonging assets. Sole participation is not enough; the strategy must be clear and direct. Probably the best option is that you opt for one dominant idea for your trade show stand. For instance, if you have just launched a new product or a service, that brand could stand all the time on your exhibition display. Scattering ideas and dividing your small stand into too many sections might be counterproductive and push away your visitors. When you decide what your trade show marketing campaign is going to promote, you are ready to move onto the next stage – staff recruitment. Although it appears to be quite easy and looks like anybody could stand at a trade show booth, it is extremely important that you put the right person at the front of the whole story. If you have collected different ideas, created your own tactics and decided what product you are going to promote, it would be a shame to ruin it with a bad host or hostess choice. It does not have to be anyone from the company. People who are great workers and admired colleagues might actually turn out to be quite a lousy choice for a fair show stand host or hostess. The best match would be experience and youth, so maybe such a combination could yield a fine end result for your trade show presence. Those who decide to display their values and products at trade show need to have a thoroughly prepared approach and ready solutions for different situations. Only when you have covered the outcomes and calculated the expenses should you get out there and tell the world who you are and what you do. Authors bio: Dan Radak is a VPS security and Hosting generaly specialist. Currently he is employed as a consultant in a couple of Web Hosting companies. Lately he has been interested in ecommerce. You can follow him on Twitter.